A new report from Tulane University says we've been underestimating just how quickly our coastal marshes are sinking. Louisiana’s soil is sinking much faster than previously thought -- that’s the conclusion of a new report out this week from Tulane University. 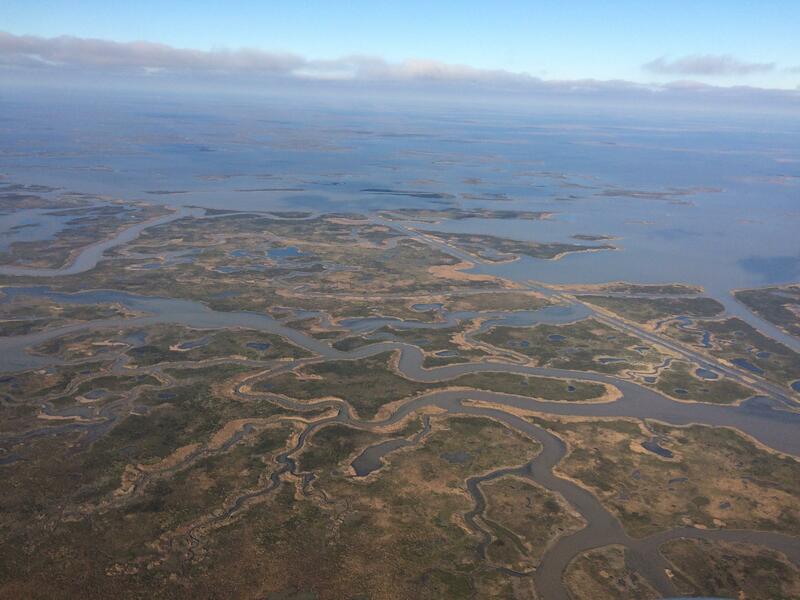 This week on the Coastal News Roundup, WWNO’s Travis Lux speaks with Tulane wetlands geologist Molly Keogh, who authored the report, about what that means for sea level rise predictions in Louisiana. Q: When it comes to sea level rise, places with soft soils, like Louisiana, face a double whammy. The seas are rising, and the land is also sinking, or subsiding. We’ve been able to measure the sinking soils for a long time, but your report says we’ve been underestimating how much we’re sinking because of how that data has traditionally been collected. What was the problem? Traditionally, we have measured relative sea level rise, which encompasses both the rising water level and the sinking land, using tide gauges. That works well in areas where you have bedrock. Here in Louisiana we don’t have bedrock, so we’re missing the compaction that occurs in the topmost layer of soil. Most of the compaction is occurring in these topmost layers because it’s light, fluffy sediment. It hasn’t had a chance to compact yet. The older, deeper stuff is already squished. Q: You’ve been monitoring subsidence in Louisiana in a different way. How does that work? There’s an instrument called a surface elevation table which is designed to measure the surface elevation change of a wetland. So it is designed to capture this shallow subsidence that is occurring rapidly here and right at the surface. And that’s different from what tide gauges can record. Q: You found that subsidence is actually worse than we thought. How big of a deal is this, and what does this mean for predictions around sea level rise and flooding in Louisiana? We know that the sea level is rising and the land is sinking, but this is happening faster than we realized. So flooding is going to come sooner and more severely than we have been anticipating to this point. Q: The Louisiana Coastal Master Plan is the state’s blueprint for how it plans to handle coastal land loss and sea level rise. Those plans are informed by all kinds of data, including subsidence data. The state says it has been using this more accurate method, so presumably its plans are up to date. What could your report change for Louisiana or even other places that are also monitoring their coastlines? Louisiana is lucky - it has an array of surface elevation tables already in existence. There are about 300 of them across the coast, which is great. We have these measurements already, so we can start to incorporate them [into state plans]. Other places in the world are not as lucky and don’t have the array of surface elevation tables that we have here. It’s a pretty simple technology - but it’s relatively expensive. So we hope that other areas can start to install these surface elevation tables, that they can then get a better idea of what’s happening at the surface. Q: It sounds like Louisiana may actually be a little bit ahead of the game in terms of monitoring subsidence compared to other places that have similar issues - is that true? Yes, which is great. Great for Louisiana. We have so much data that it’s almost a problem of knowing what to do with it - or being able to process it. Copyright 2019 WWNO - New Orleans Public Radio. To see more, visit WWNO - New Orleans Public Radio. Scores of coastal research labs around the U.S. are helping communities plan for sea level rise. But now many are starting to flood themselves, creating a dilemma: stay by the coast and endure expensive flooding, or move inland, to higher ground, but away from their subject of study. 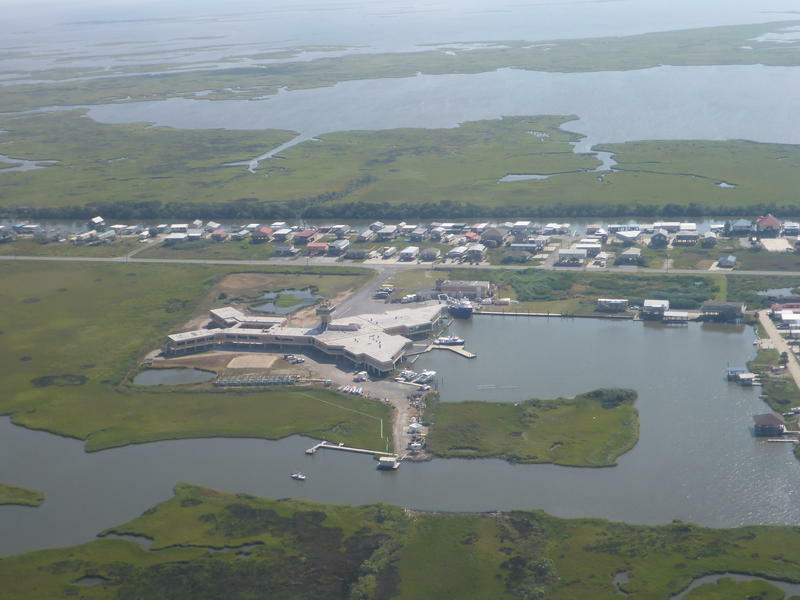 The Louisiana Universities Marine Consortium lab is located along the state's fragile coast, about 80 miles southwest of New Orleans. The giant X-shaped building is at the end of a gravel road, surrounded by open water and grassy marshes. 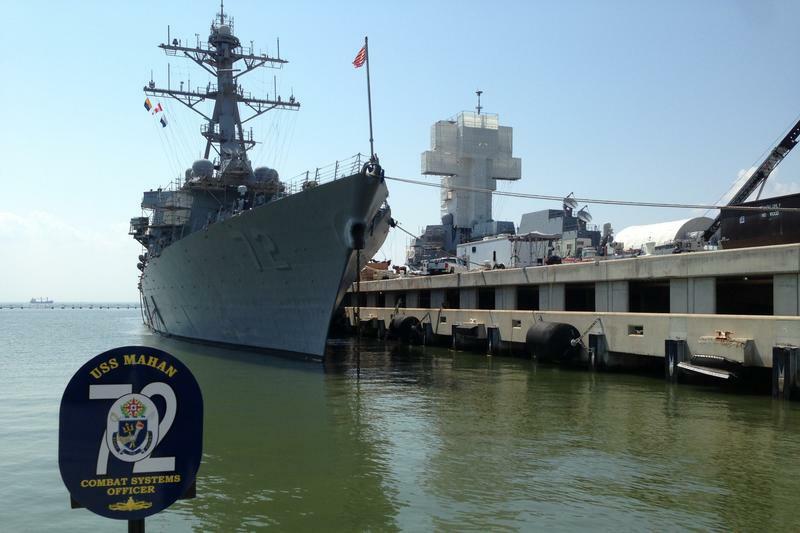 From the water's edge in Norfolk, Va., the U.S. naval base spans the whole horizon. Aircraft carriers, supply centers, barracks and admirals' homes fill a vast expanse. But Ray Toll, a retired naval oceanographer, says the "majority of [the naval base], if not all of it" is at risk of flooding "because it's so low and it's flat." 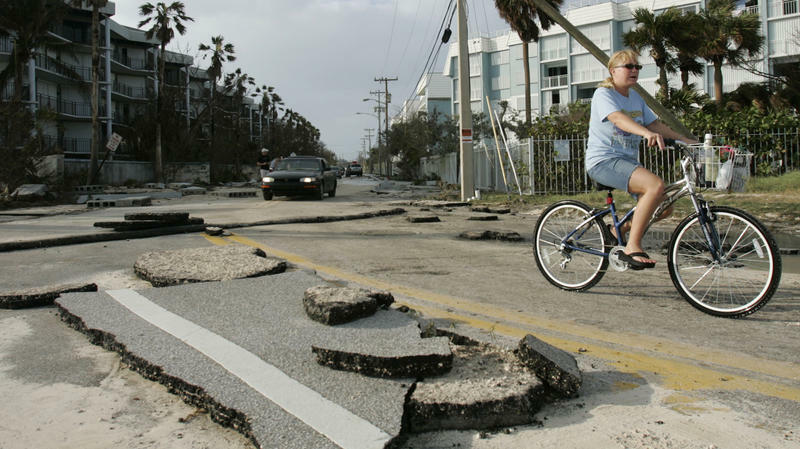 Florida — especially South Florida — is very flat and very low, and in places like Miami Beach and Key West, buildings are just 3 feet above sea level. Scientists now say there may be a 3-foot rise in the world's oceans by the end of the century.